It’s really easy to forget what this holiday we’re so busily preparing for is truly about. We get so caught up in figuring out the perfect gifts for our loved ones, decorating the house with beautiful lights and silly trees, and hoping for the gifts we want that what we’re actually celebrating slips our mind. Christmas isn’t about mistletoe and holly, big green trees sitting inside homes, shiny presents, stockings filled with goodies… it’s not even about a big ‘ole jolly man making his way down our chimney in the dead of night. 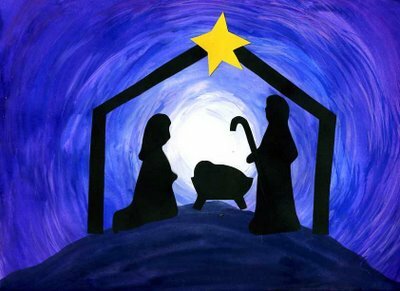 Christmas is about the birth of Jesus. This tiny, little baby that would someday save us from our sins. This tiny, little baby that loved you so wholly before He even knew how to walk and before you were even born. Take a moment this year to give thanks to that tiny, little baby while you’re out shopping for decorations and presents. This entry was posted in Holidays and tagged Catholic, Catholic youth, Christmas on December 14, 2014 by clrussell4.